"Cuz: The Life and Times of Michael A." Our guest is Danielle Allen, the James Bryant Conant University Professor at Harvard University, who joins us to discuss her new book. That well-regarded book, "Cuz: The Life and Times of Michael A.," is an unflinching memoir of Allen's late cousin as well as a detailed and accessible critique of America's criminal justice system. Per Jennifer Senior in The New York Times: "A compassionate retelling of an abjectly tragic story.... Among the most valuable contributions Allen makes is forcing us to ask: To what end are we locking up our children? Richard Russo and "The Destiny Thief"
On this edition of ST, we speak with Richard Russo, the bestselling and Pulitzer Prize-winning author of such popular novels as Empire Falls and Nobody's Fool. Also known for his short stories and autobiographical writings, Mr. Russo has a new book out, his very first collection of personal essays, which he tells us about. It's called "The Destiny Thief." 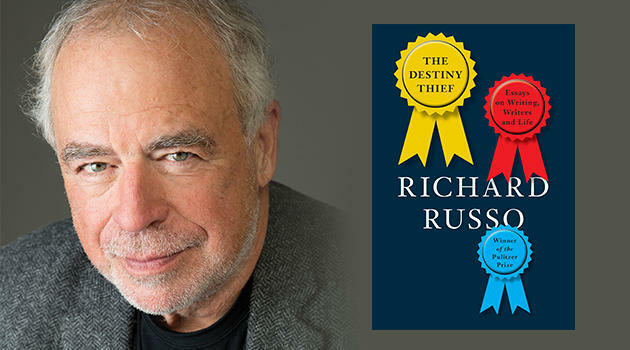 Note: Mr. Russo will soon do a free-to-the-public reading and signing here in Tulsa; on Thursday the 17th, beginning at 7pm, he'll be at the TCC Center for Creativity. "To have great poets," as Walt Whitman once noted, "there must also be great audiences." And great cities, it would seem, likewise require great bookstores. 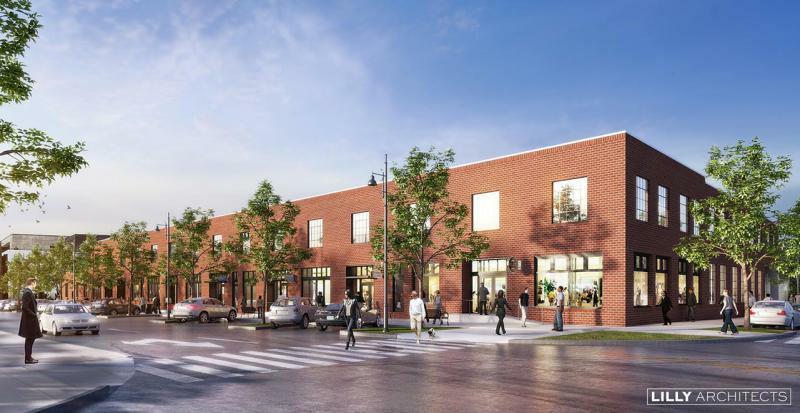 On this edition of ST, we learn all about Magic City Books -- an indie bookstore owned and operated by the non-profit Tulsa Literary Coalition (or TLC) -- which will soon, at long last, open for business in downtown Tulsa. Indeed, after a series of construction-related delays, Magic City Books will open on Monday the 20th at 9pm...with Mayor G.T. 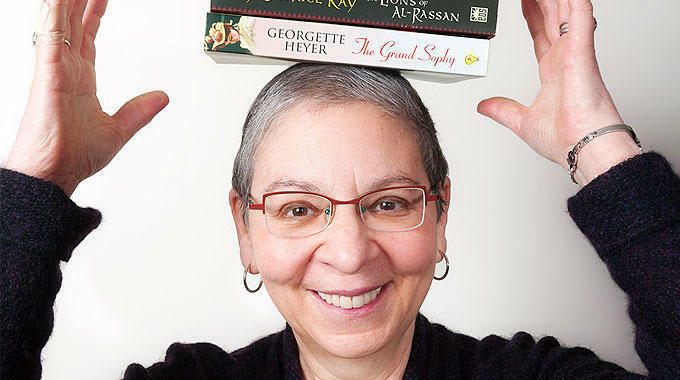 On this edition of ST, we are pleased to welcome the noted book critic, editor, and retired librarian Nancy Pearl back to our show. A former Tulsan, she's also the longtime book reviewer for this program, and she can be heard talking about books from time to time on NPR's Morning Edition. 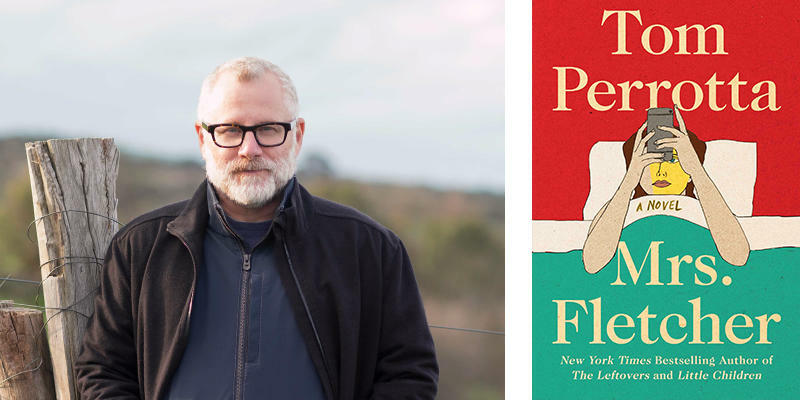 Nancy has a new novel out -- it's her first, and it's called "George and Lizzie" -- and it was thus praised by Booklist (in a starred review): "Pearl dramatizes a complicated and deeply illuminating union of opposites and conducts profound inquiries into the self, family, empathy, and love. 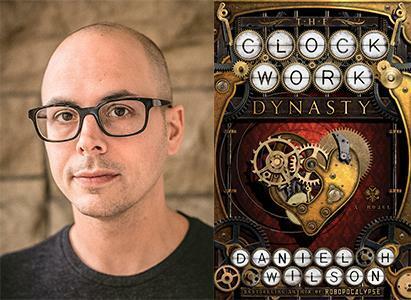 From Tulsa Native and Bestselling Novelist Daniel Wilson Comes "The Clockwork Dynasty"
Our guest on this edition of StudioTulsa is Daniel Wilson, the bestselling sci-fi writer and Tulsa native (and TU alum) whose new novel, just out, is called "The Clockwork Dynasty." (Please note that Wilson will soon be reading from this book, and signing copies of it, at a Book Smart Tulsa event here in our community.) As was noted of this novel in The Los Angeles Review of Books: "Wilson is one of the foremost prophets of the near future.... In 'The Clockwork Dynasty,' the irrepressibly readable Wilson has retreated to pseudo-vampiric sentient robots. 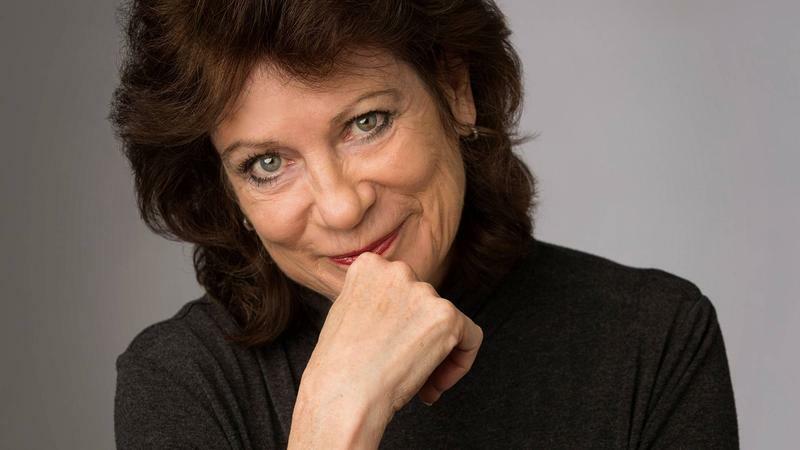 On this edition of ST, we welcome the award-winning Oklahoma writer Rilla Askew back to our show. Her new book, just out, is her first-ever nonfiction volume; it's a collection of nine linked essays entitled "Most American: Notes from a Wounded Place." In this timely and reflective work, she argues that the State of Oklahoma -- whether we are talking about police violence, gun culture, race relations, secret history, religious fervor, spellbinding landscapes, or brutal weather -- is actually a "microcosm" of the United States. 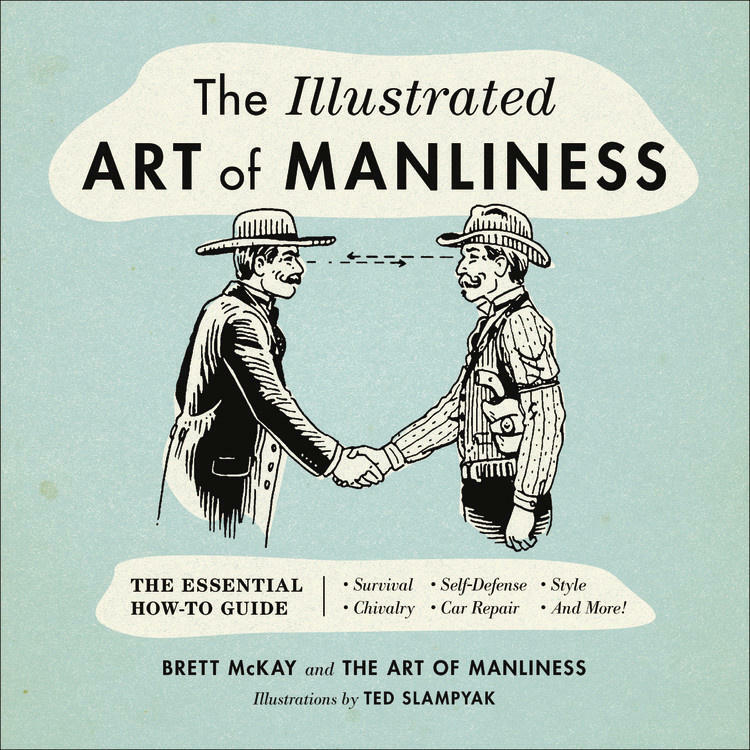 "Illustrated Art of Manliness: The Essential How-To Guide to Survival, Chivalry, Self-Defense, Etc." On this installment of ST, we welcome Brett McKay, a native Tulsan whose "Art of Manliness" blog gets about 10 million visitors each month. 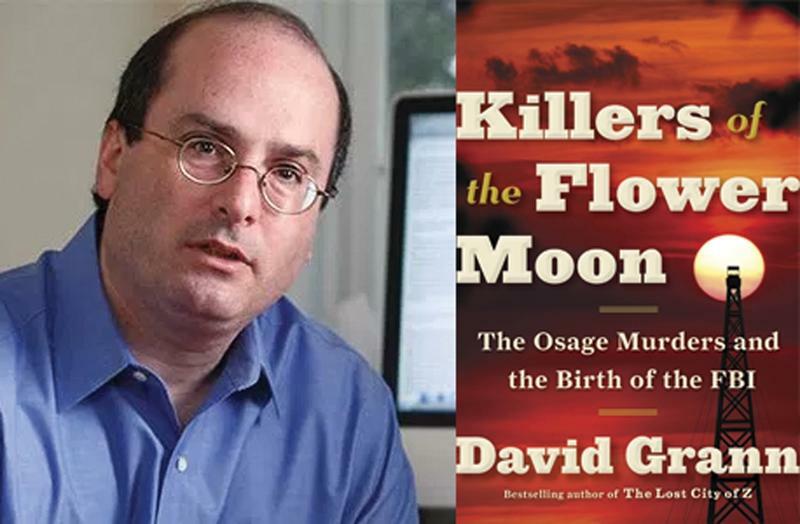 "Killers of the Flower Moon: The Osage Murders and the Birth of the FBI"
Our guest on this installment of ST is David Grann, a bestselling author and staff writer at The New Yorker Magazine whose new book, just out, is getting rave reviews. That book is an unsettling and in-depth work of nonfiction, "Killers of the Flower Moon: The Osage Murders and the Birth of the FBI." As was noted of this book by a critic writing for Time: "Nearly 100 years ago, the Osage tribe of Oklahoma were thought to be the wealthiest people per capita in the world, thanks to their oil-rich reservation, kindly sold back to them by the federal government that had snatched it away. 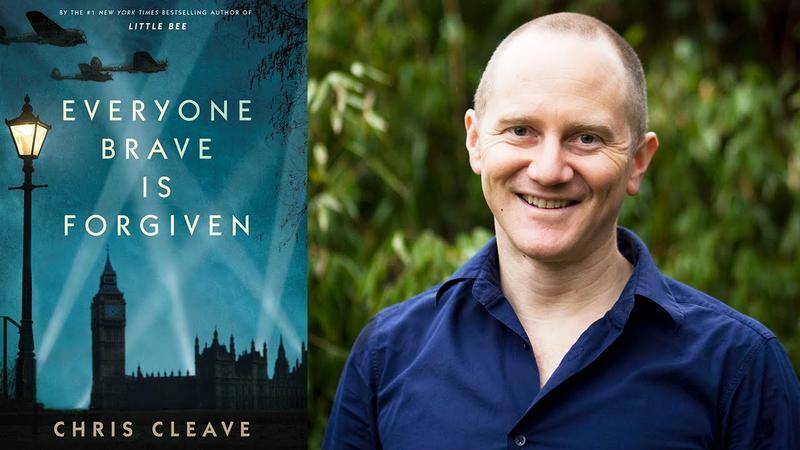 Our guest on ST is Chris Cleave, the British novelist whose bestselling WWII-era yarn, "Everyone Brave Is Forgiven," has just appeared in paperback. 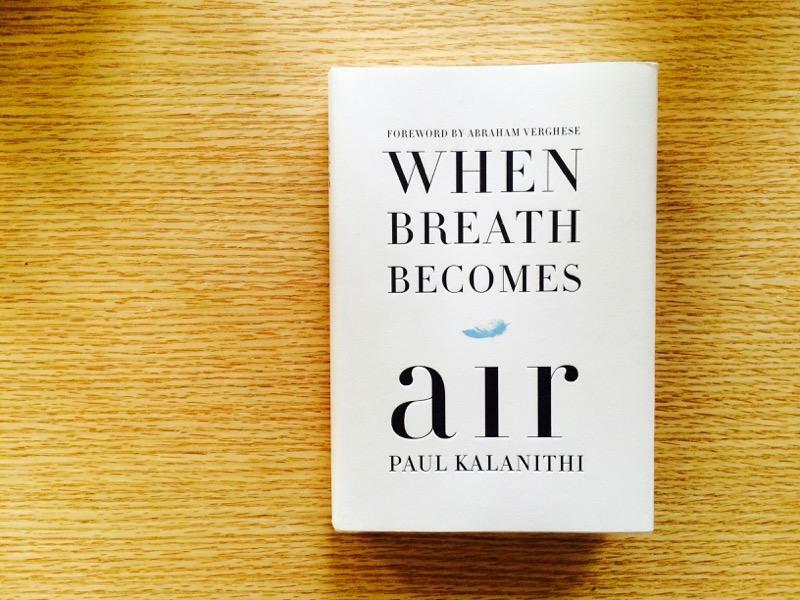 As was noted of this book by an Amazon critic, when it was named (after first appearing in hardcover) as a Best Book of May 2016: "We've been wondering lately: What is the secret sauce that makes novels like Anthony Doerr's 'All the Light We Cannot See' and Kristin Hannah's 'The Nightingale' so popular, stories set against the backdrop of WWII? 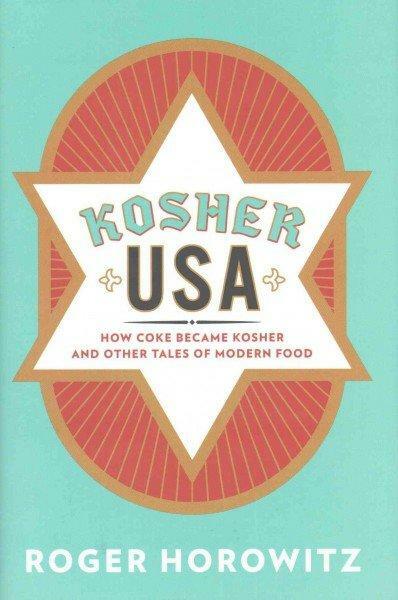 "Kosher USA: How Coke Bacame Kosher and Other Tales of Modern Food"
On this edition of our show, we welcome Dr. Roger Horowitz, author of "Kosher USA: How Coke Bacame Kosher and Other Tales of Modern Food." Dr. Horowitz will offer a free-to-the-public presentation about this book tomorrow night, Thursday the 2nd, at 7pm here in Tulsa. The event happens at Congregation B'nai Emunah, at 1719 South Owasso. 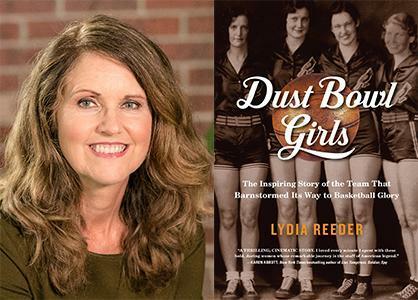 "Dust Bowl Girls: The Inspiring Story of the Team That Barnstormed Its Way to Basketball Glory"
On this edition of ST, we speak with Lydia Reeder, a writer and editor based in Denver. She tells us about her now book, a popular history entitled "Dust Bowl Girls: The Inspiring Story of the Team That Barnstormed Its Way to Basketball Glory." It's the surprising but true Depression-era story of a women's basketball team -- the Oklahoma Presbyterian College Cardinals -- who came from Durant, and who were pretty much the best of the best in the early 1930s. The leader of this inspiring team, the visionary coach Sam Babb, is also profiled in Reeder's book -- and, indeed, Ms.
"The Book That Changed America: How Darwin's Theory of Evolution Ignited a Nation"
On this edition of ST, we speak with Randall Fuller, the Chapman Professor of English here at TU. He joins us to discuss his new book, "The Book That Changed America: How Darwin's Theory of Evolution Ignited a Nation." As the historian Eric Foner recently wrote of this book in The New York Times: "Fuller...is [previously] the author of a prize-winning study of the Civil War's impact on American literature. 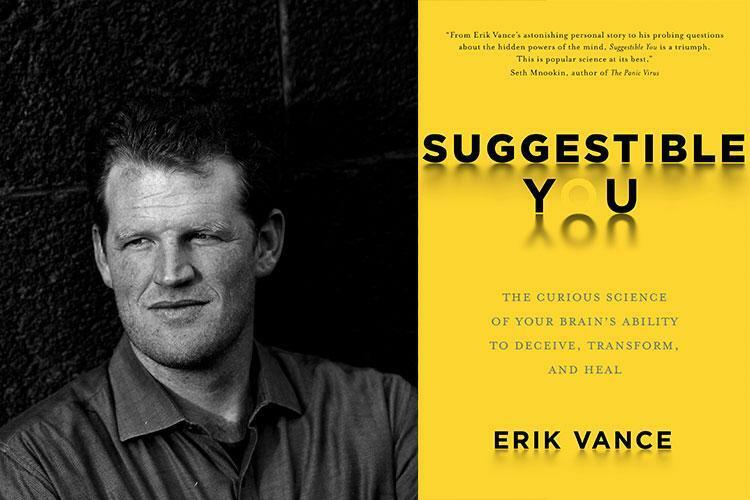 "Suggestible You: The Curious Science of Your Brain's Ability to Deceive, Transform, and Heal"
What is meant by the term "placebo effect"? What exactly is being described, and how is it brought about? And is this term a medical reality? Does it actually -- that is, scientifically -- exist? On this edition of ST Medical Monday, we hear from journalist Erik Vance, whose writing has appeared in Harper’s, The New York Times, Scientific American, and other publications. 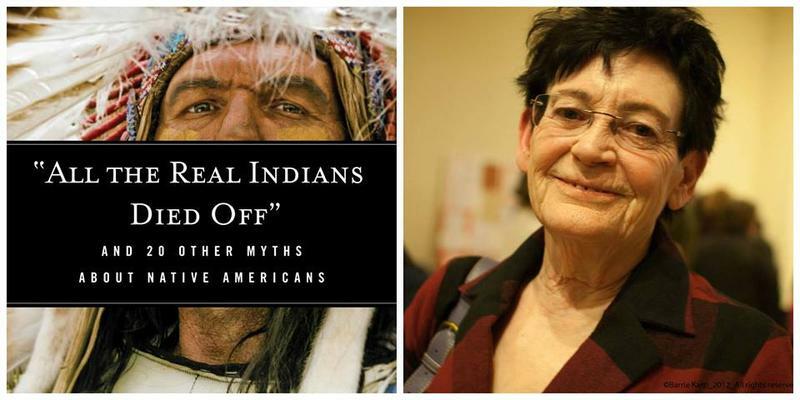 Scholar and Activist Roxanne Dunbar-Ortiz Offers "All the Real Indians Died Off"
On this edition of StudioTulsa, we speak with the author, scholar, and activist Roxanne Dunbar-Ortiz, who grew up in rural Oklahoma and is now based in San Francisco. She is the daughter of a tenant farmer and part-Indian mother, and she's been active in the international Indigenous People's Movement for more than four decades. 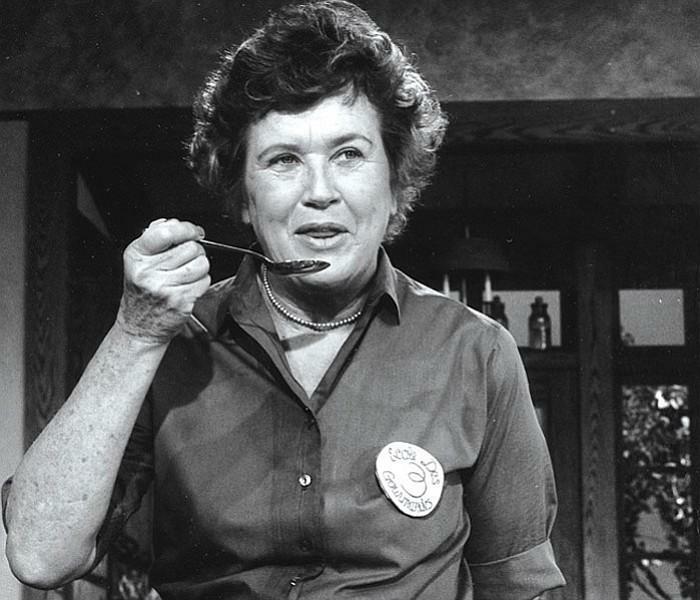 "The French Chef in America: Julia Child's Second Act"
"Sleeping Giant: How the New Working Class Will Transform America"
On this edition of ST, we speak with Tamara Draut, who is Vice President of Policy and Research at Demos, a left-leaning national think tank. 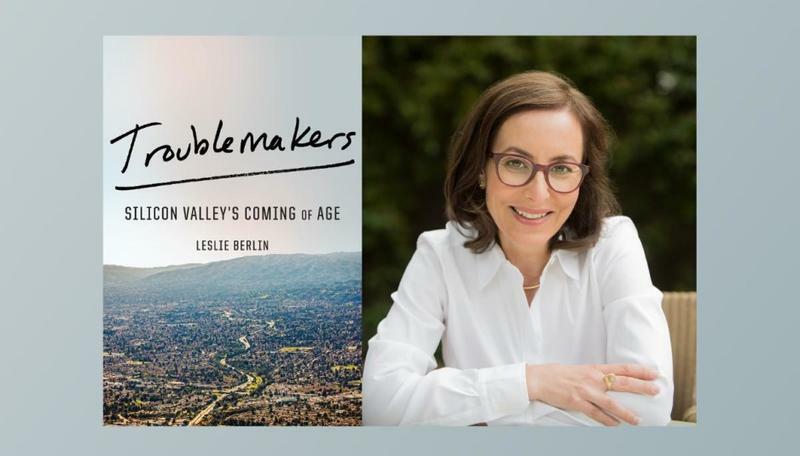 She's also the author of "Strapped: Why America's 20- and 30-Somethings Can't Get Ahead," and she joins to talk about her new book, which is called "Sleeping Giant: How the New Working Class Will Transform America." 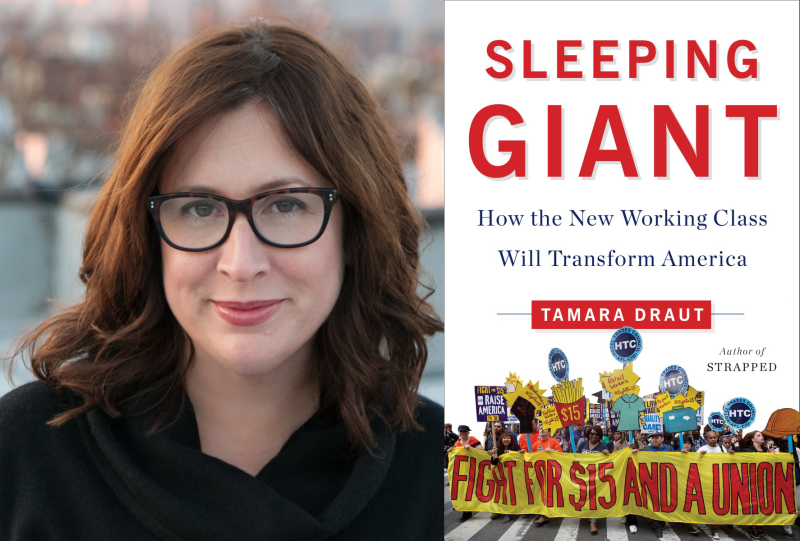 As was noted of "Sleeping Giant" by Kirkus Reviews: "A close examination of the plight of the working class, the decline of organized labor's political power, and the stirrings of activism that indicate change may be on the way. New York Times Film Critic A.O. Scott Argues for "Better Living Through Criticism"
On this edition of ST, we speak with A.O. Scott, chief film critic at The New York Times. 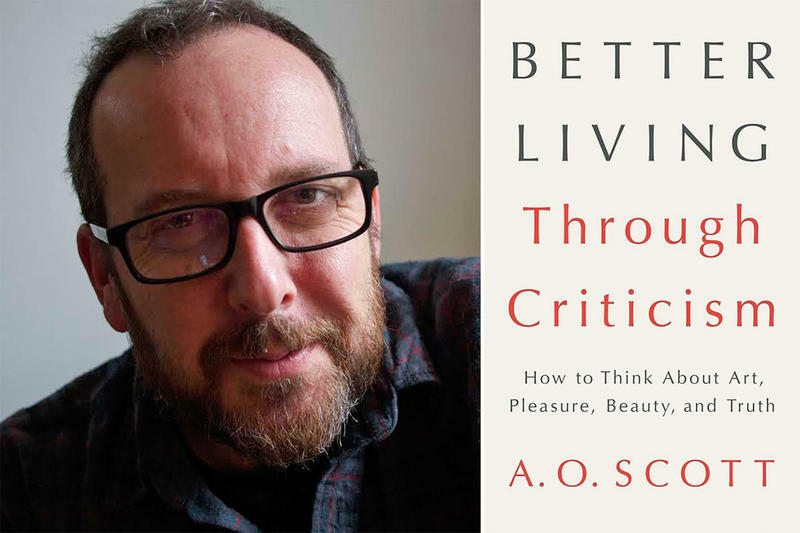 Scott has a new book out; it's called "Better Living Through Criticism: How to Think About Art, Pleasure, Beauty, and Truth." 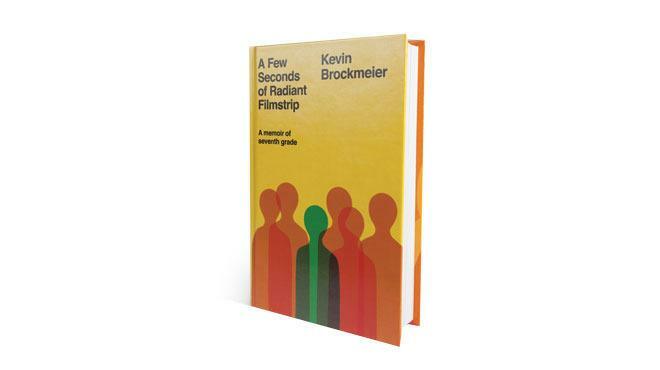 As was noted of this work in a starred review in Publishers Weekly: "This stunning treatise on criticism from...Scott is a complete success, comprehensively demonstrating the value of his art. 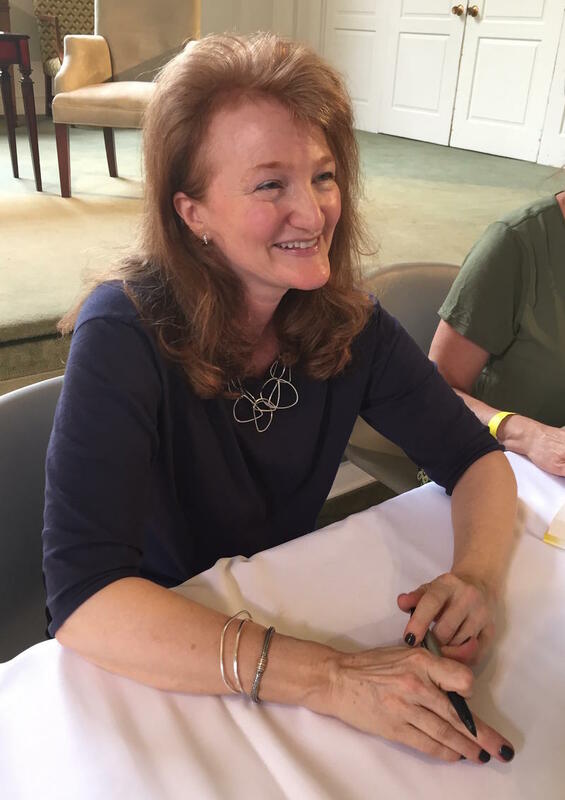 On Being Host Krista Tippett Offers "Becoming Wise: An Inquiry into the Mystery and Art of Living"
On this edition of StudioTulsa, we share an interesting chat with Krista Tippett that was taped last Saturday afternoon at a Book Smart Tulsa event at All Souls Unitarian Church. Tippett is, of course, the award-winning host of the public radio program On Being, which airs on KWGS Sundays at noon -- and which is widely acclaimed for its insightful and extended conversations regarding life's biggest questions. It's an always-engaging show whose guests include all sorts of experts, from theologians and scientists to poets and musicians. 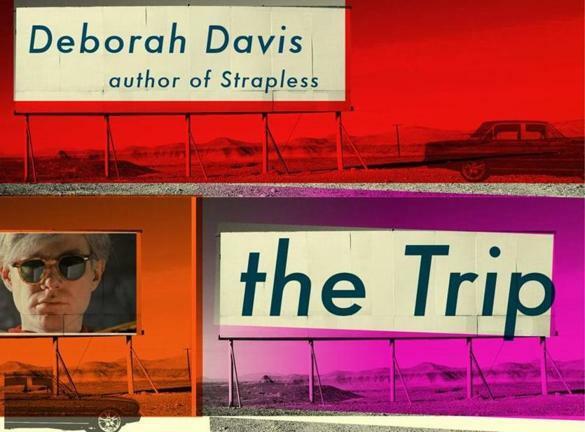 "The Trip: Andy Warhol's Plastic Fantastic Cross-Country Adventure"
In 1963, the up-and-coming pop artist Andy Warhol took a road trip across America, from New York to Los Angeles. On this edition of ST, we welcome the writer and writing instructor Teresa Miller back to our program. 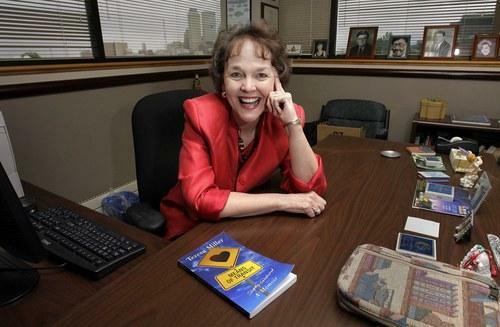 She founded the Oklahoma Center for Poets and Writers in the early 1990s, and around that same time she started hosting and producing a popular public-television interview show, Writing Out Loud. Her books include the novels "Remnants of Glory" and "Family Correspondence," as well as "Means of Transit," which is an autobiography. "The Sixteenth of June" -- A New and Engaging Novel Inspired by James Joyce's "Ulysses"
Today is the unofficial holiday known as Bloomsday -- a day meant to celebrate, at gatherings large and small across the globe, the life and work of the modernist Irish writer James Joyce. Why today, you ask? Because all the events related in Joyce's "Ulysses" -- seen by many readers and critics as the greatest novel ever penned in English -- take place on June 16th (and specifically on June 16th, 1904) in and around Dublin, Ireland. 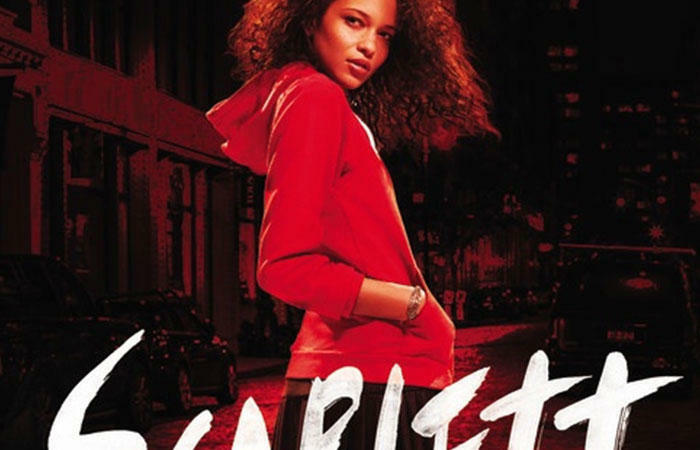 On this edition of ST, we speak with Jennifer Latham, a Tulsa-based author whose debut novel is coming out next week: "Scarlett Undercover" is a noir-flavored, modern-day YA mystery with a 16-year-old Muslim American heroine who runs her own detective agency. 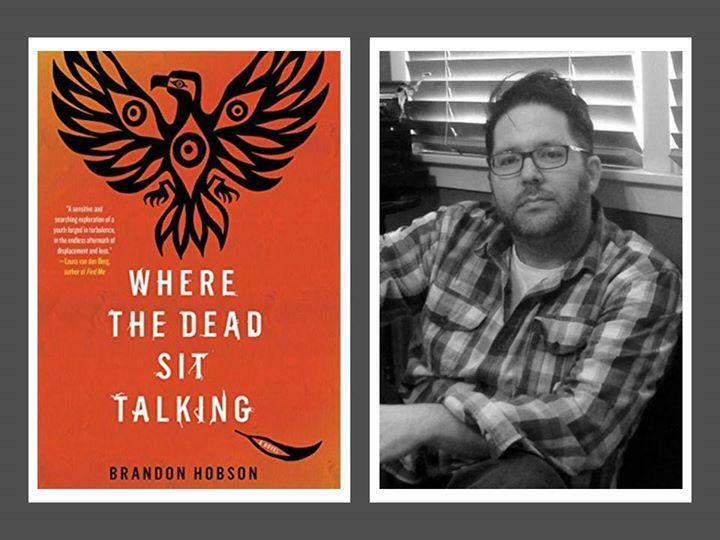 Book Smart Tulsa will present a free-to-the-public Launch Party for this book next week, on Wednesday the 20th at 7pm, at the University of Tulsa's Zarrow Center for Art and Education in the Brady Arts District (in downtown Tulsa). 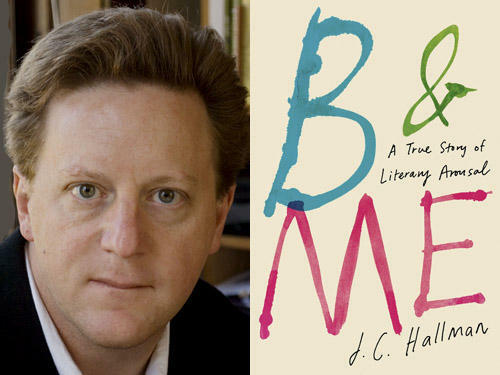 On this edition of ST, we speak with the writer J.C. Hallman, who was raised in Southern California, studied at the University of Pittsburgh and the Iowa Writers' Workshop, and now teaches at Oklahoma State University. On this presentation of ST, we speak with Marja Mills, a former reporter and feature writer with The Chicago Tribune. 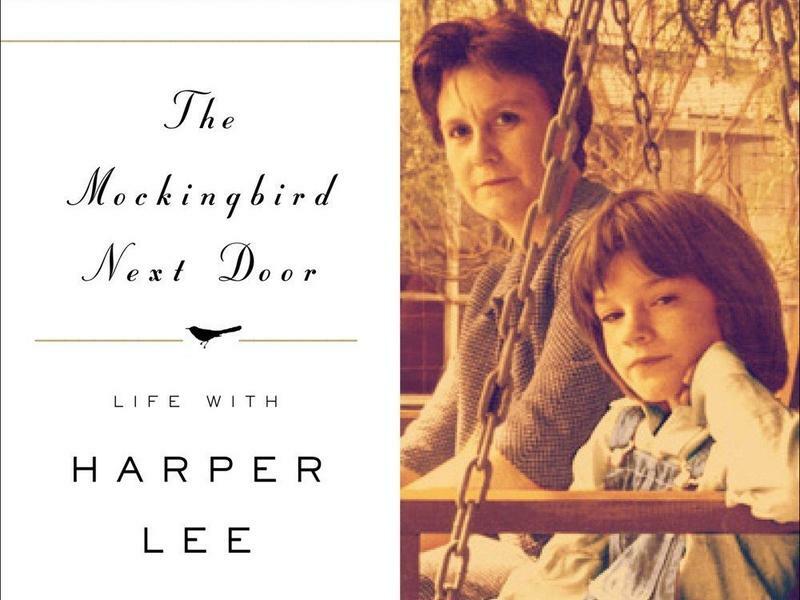 Mills is also the author of a bestselling memoir, "The Mockingbird Next Door," which details the time she spent getting to know novelist Harper Lee -- the author, of course, of the immortal "To Kill a Mockingbird" -- as well as Lee's older sister, Alice. Mills will discuss this recently published book (its origins, its development, its major findings, and so on) tonight, Monday the 8th, at 6:30pm at a Book Smart Tulsa event at the Circle Cinema. 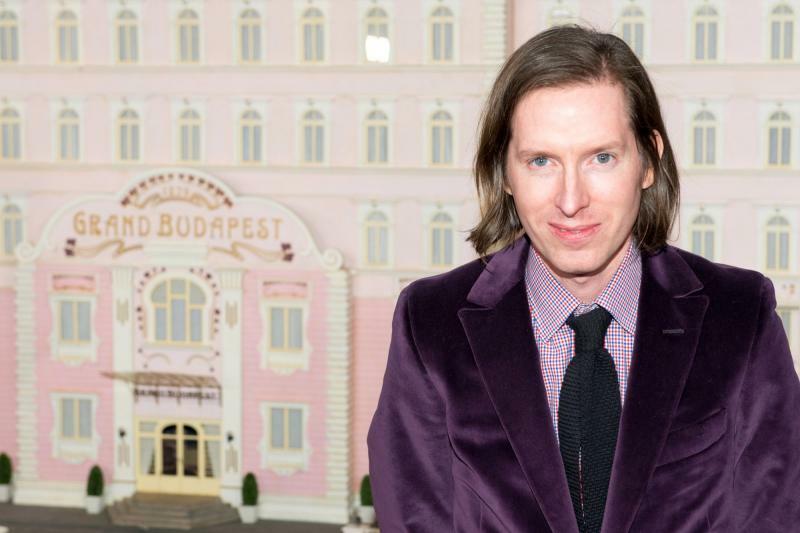 On this edition of ST, a discussion of the distinctive films of writer/director Wes Anderson, whose vivid, detailed, and meticulously crafted movies include "Rushmore," "The Royal Tenenbaums," "The Life Aquatic with Steve Zissou," and "Moonrise Kingdom" --- as well as "The Grand Budapest Hotel," which is still in theaters nationwide. Our guest is Matt Zoller Seitz, a critic for New York magazine who has a new book out about Anderson's decidedly ornate cinematic world. "A Few Seconds of Radiant Filmstrip: A Memoir of Seventh Grade"